The state-owned BAIC Group is quite the colossus in China. Besides making cars under its own name and under the Senova, Foton, and Changhe brands, it also produces Beijing Hyundai and Beijing Benz vehicles through joint-venture deals. It’s among the five largest Chinese automakers and, now, over 30 years since it was founded, BAIC and BJEV have come together to launch a luxury sub-brand called Arcfox that brought to Geneva two supercars and one SUV - all three fully electric. The Arcfox-GT and the GT Race Edition were the attention grabbers at the Arcfox stand, and we’re going to talk about the latter of the two here. It’s hard to stand out if you are an up and coming supercar manufacturer in 2019. There are so many boutique automakers boasting with their ludicrous creations and with impressive powertrains, that making a car capable of reaching 60 mph in three seconds isn’t something to write home about anymore. That’s why the fact that the latest Arcfox, named after a very creative thought process the ’GT’, is much more powerful than the old one, released in 2016, isn’t particularly amazing. I mean yes, over 1,000 horsepower is amazing but there are already quite a few cars that put out about as much oomph or more and people are starting to get used to that, as incredible as that may sound. In raw numbers, the Arcfox-GT and the Arcfox-GT Track Edition are a few big steps ahead of the Arcfox 7 Concept released three years ago. We’ll get into the technical details in a bit but, first, let’s look at the design. You can tell that the Arcfox-GT’s designers took some cues from the 7, but the two cars are by no means lookalikes. 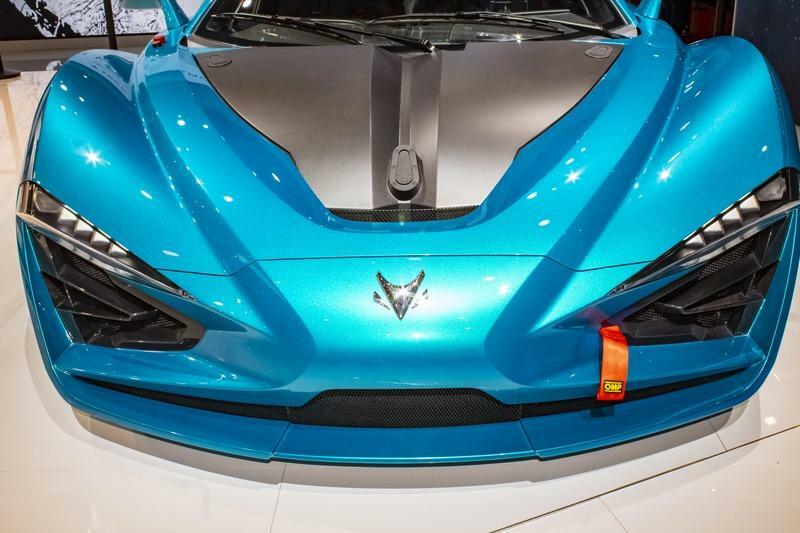 The GT has its headlights a bit higher up on the fascia, the front lid is different (on the 7, the whole front nose section lifts up), and, overall, the GT is more angular with many more straight-cut edges, hard ridges, and lines. It’s a big differance compared to the curvaceous 7 with the rear quarter panel that, to me, looks to be somewhat based on what McLaren is doing. In the front, the Arcfox-GT Race Edition is basically identical to the less powerful Street Edition. There is no extended splitter, no winglets for added downforce, and no extra vents or, maybe, widened arches. The only thing that suggests the Race Edition would belong on the race track rather than the boulevard is the presence of a towing loop that is used by the emergency crews to tow the car out of a sand pit when it goes off the race track. 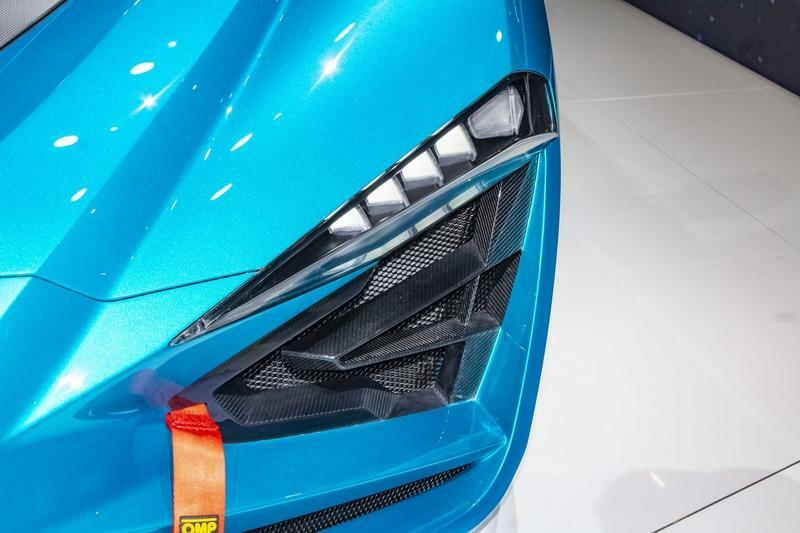 The headlights of the Arcfox-GT are placed in the corners of the fascia, following two ridges that tumble down towards the rounded, protruding nose. The design line actually traverses the middle of the light clusters and ends on either side of the nose which perches beyond. The two ridges that shape the nose and the front lid actually start way back. You can trace them all the way to the rear quarter panel which is where this design line meets the rear wheel arch and comes to an end. The line itself flashes across the doors which follow its profile and are skewed outward. 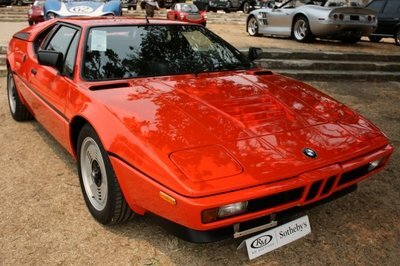 Then the line passes right under the exterior rear-view mirrors and then plunges down to shape the nose. There, on the nose, is the chromed stylized head of a fox, the company’s logo. Below the triangular arrow-like headlights, in a recessed position on either side, there are equally pointy air vents with carbon fiber surrounds. The lines that basically shaped the nose split into two opposite directions and basically frame the air vents and also the Aston Martin-shaped grille in the lower part of the front bumper. The lip of the bumper itself features a couple of ridges in the middle just below the high-rising part of the grille. The top line of the front fenders starts in the corner of the headlights and ends right under the door mirrors which is where a rear-facing air vent opens up to clear the air that was sucked in by the vents to cool the brakes. This arrangement emphasizes the impression that the fenders stick out wider than the median cabin section. 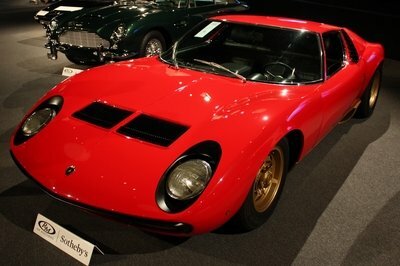 Indeed, the side skirts do widen towards the rear just before another vent opens up, like on any Lamborghini. The Arcfox-GT Race Edition sports ten-spoke black rims wrapped by Pirelli P-Zero slicks that sit in front of AP Racing brakes. An interesting thing I’ve noticed is that the side window on the driver’s door features a small slider which suggests that the window itself does not roll down, like on any racing car. However, on the other side, there is no such slider so one can assume that window either does not open at all or does like on a normal car. In the back, you are confronted again by a cacophony of lines, surfaces, edges, and everything in between. I’m no fan of a busy design and the back of the Arcfox-GT is really complicated - you can thank Walter Da Silva for the styling. Overall, it somewhat resembles, in terms of the shape, the back of an NSX but an NSX that has hit the gym and decided to take illegal supplements on the way. The taillights cleverly wrap around the corners of the car. They eke out along the top of the rear overhangs on either side before abruptly coming down following the shape of the rear bodywork. 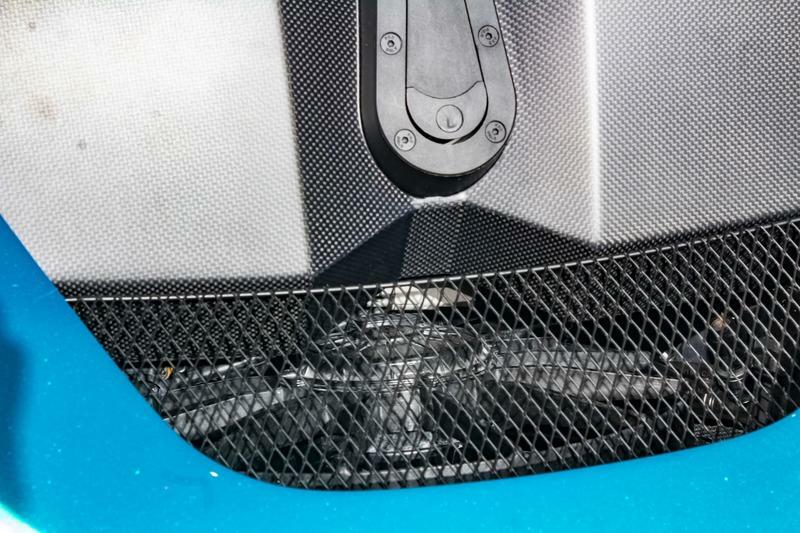 On the Race Edition model, the active carbon fiber wing of the Street Edition (that tucks in flush with the bodywork when in low-drag position), is gone and that place is filled by the swan-neck mountings of a humongous fixed rear wing that really looks a bit silly even on this car as the Race Edition doesn’t have any other aerodynamic add-ons over the Street Edition to justify the placement of such a significantly sized wing at the tail end. Still, the wing is there, it’s big, and it sits in front of a smaller wing-like element that connects the two humps on the rear divided by the opening that goes down from the rear window. The wing sits above four horizontally mounted fins and there are also air vents on either of these so-called humps. The rear light clusters feature opposing Y-shaped LEDs and are placed on the rear center panel, above two sizeable air vents. These vents occupy the sides of the rear fascia and sport a few strakes of their own. 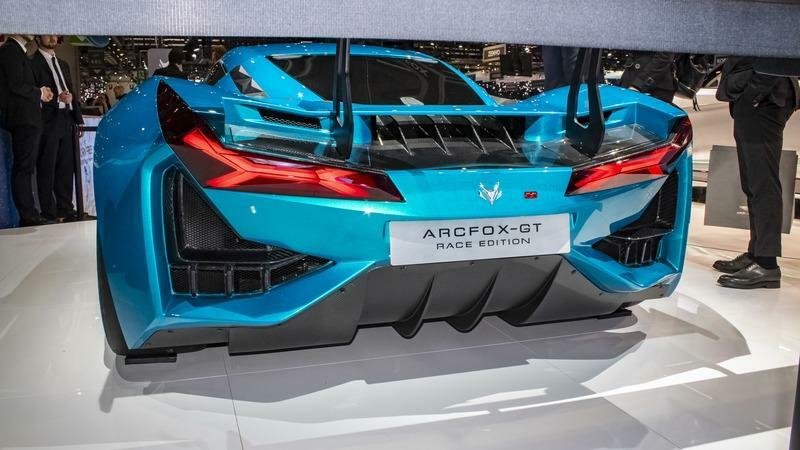 They are placed deep within the bumper, above the diffuser of the Arcfox-GT that has two main elements in the middle but is otherwise flat, probably just like the underbody. We don’t know much about the interior of the BAIC Arcfox-GT Race Edition. 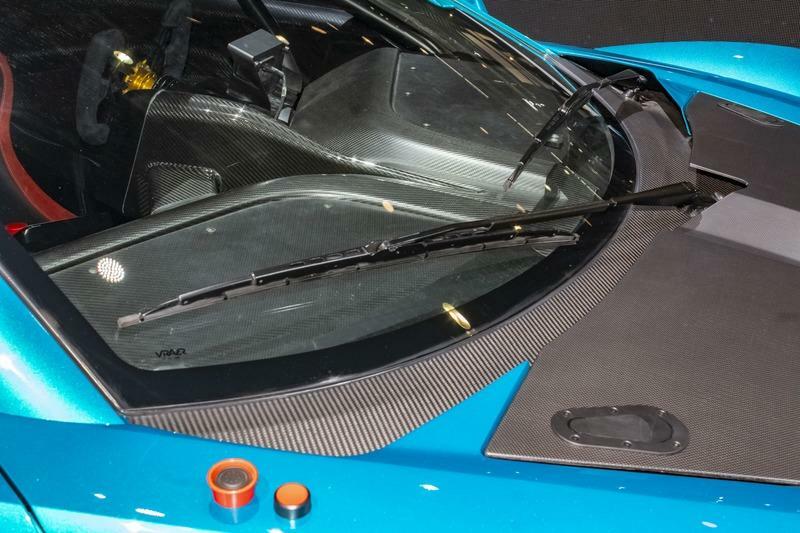 We can see the dashboard is made out of carbon fiber and that there's a racing wheel in there but the representatives of the automaker did not open the doors of either of the two Arcfox-GTs on display. The Arcfox 7 Concept, for instance, features scissor doors that open to reveal an angular interior with a driver-focused dashboard that, to me, looks to be inspired by the ’80s: many flat surfaces and straight edges, many rectangles and three main digital screens: one behind the wheel for the gauge cluster, one to the right of the driver facing the driver and one on the other facet of the dash facing the passenger. The bucket seats in the Arcfox 7 are wrapped in white leather as are the door sills, albeit only partially, and a shelf-like area on the dash. However, inside the Arcfox-GT Race Edition you may find a more straightforward look with even more exposed carbon fiber and, maybe fewer screens if, for instance, the passenger’s seat gets removed to save weight. What's also possible is that you'll be able to read on the screen a live feed of that from your on-track driving sessions as well as a feed of data about the car, stuff like oil pressure, tire pressure, the lot. But we can’t be sure until BAIC releases more information on these vehicles although extensive cabin customization is to be expected in this niche. The BAIC Group was tight-lipped even when it came to the technical details of the Arcfox-GT. The Chinese company was only kind enough to give us the power output, torque rating, and a few other details. However, we don’t know who’s behind the drivetrain, who’s the battery pack supplier as well as more about how fast the car can go. “Arcfox is a beam of light that the BAIC Group presents to the world with its innovation and this beam of light is illuminating the way for us to move forward,” said Arcofx’s Chairman Heyi Xu, quoted by Carscoops. The official website isn’t of much help either. 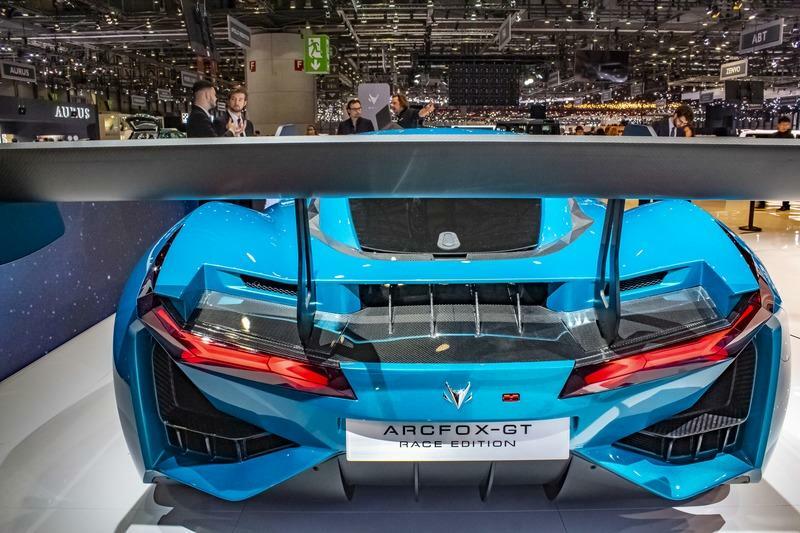 We read there that the BAIC BJEV conglomerate came to Geneva to showcase its " premium brand to the international market" and that the Arcfox-GT will be built at BAIC’s research & development center in Barcelona, Spain. We only know that the car will benefit from a healthy dose of Formula E technology in the drivetrain and that it’s capable of putting out 1,609 horsepower, 600-odd horsepower more than the Street Edition and 130 horsepower more than the Bugatti Chiron. Torque is rated at 973 pound-feet which is almost 40 torques more than what the Porsche 918 Hybrid was capable of. However, the Arcfox-GT Race Edition is a while away from the Chiron which cranks out 1,180 pound-feet between 2,000 and 6,000 rpm. 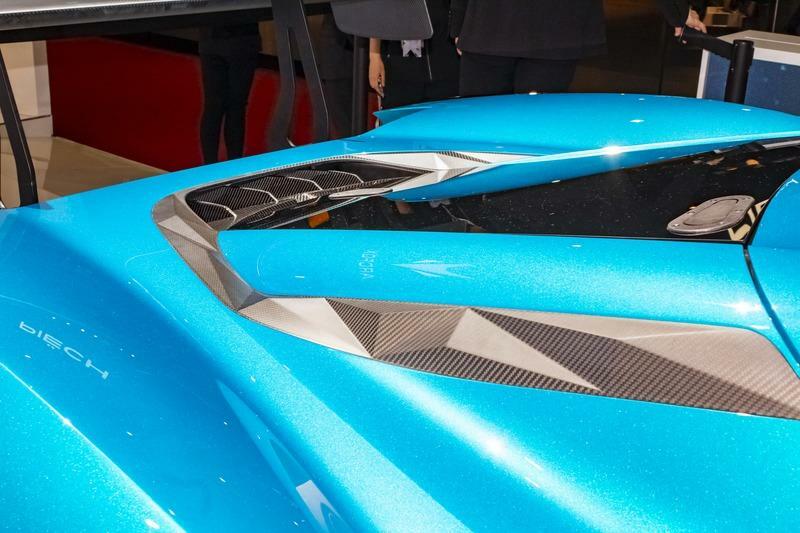 It's unclear how much the Arcfox-GT weighs but, for reference, the Rimac C_Two tips the scales at 4,300 pounds and it also sports a carbon fiber monocoque. 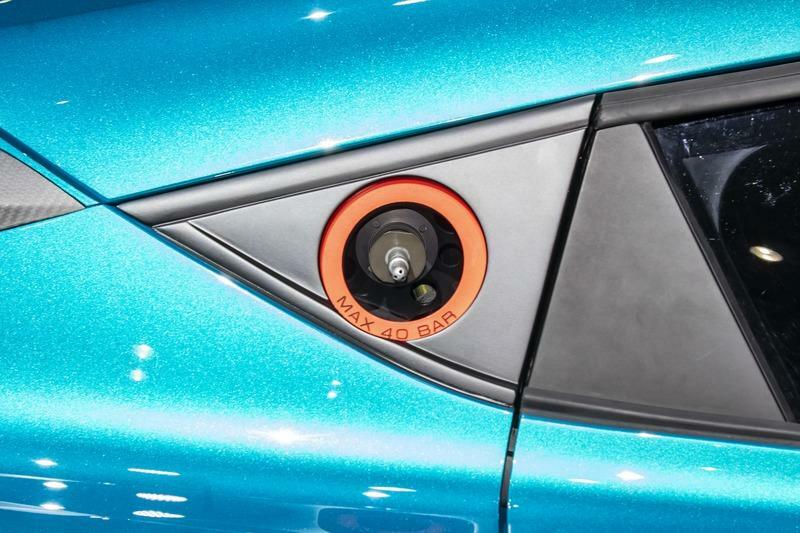 As for the battery pack, keep in mind that the Pininfarina Battista - which is powered by Rimac-developed electric motors - features a 120 kWh battery pack to go 280 miles on one charge. A $140,000 Tesla Model S slightly surpasses that with a range of about 320 miles at best. However, cheaper mass-market EVs like the Kia Soul EV or the Nissan Leaf hover around the 100-mile mark on one charge while the diminutive Chevy Volt can go 238 miles on one charge and costs about $40,000 with some options included. You can expect the Arcfox-GT to be introduced with an MSRP that will easily surpass $1 million. 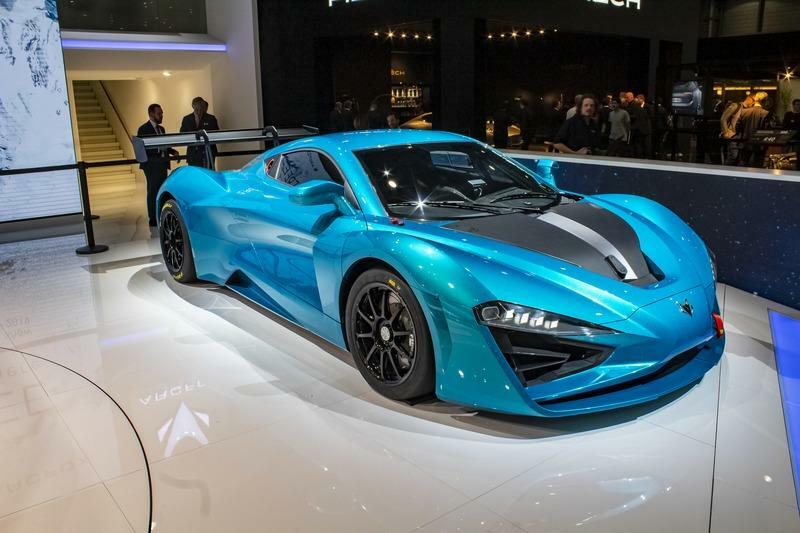 I mean, the C_Two will set you back $2.1 million (and only 50 of those will be made) while the NIO EP9 costs $1.2 million. 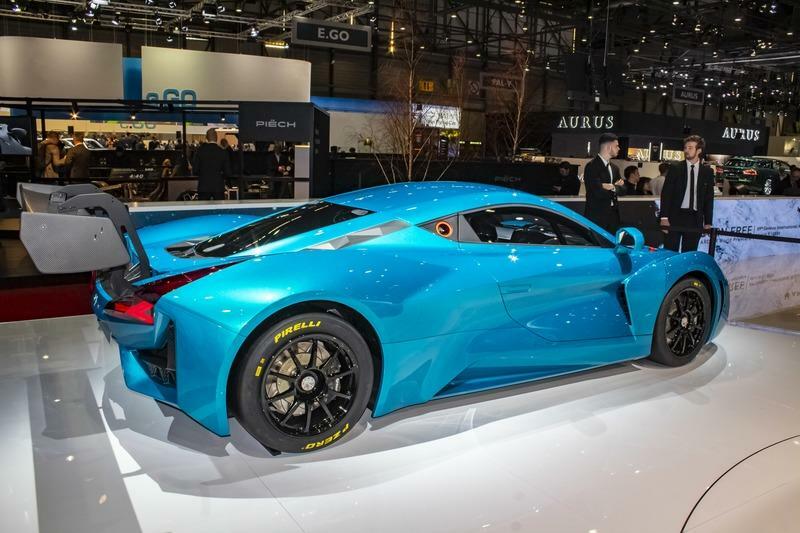 The NIO will definitely be one of Arcfox’s benchmark since it’s also made by a Chinese company and, while it only puts out 1,342 horsepower, it’s otherwise respectable in terms of range (265 miles on one charge) and weight (3,825 pounds, almost 500 pounds lighter than the Rimac). Its performance has also been put to the test on some of the world's toughest race tracks such as the Nordschleife and it has confirmed that it's up to the task, lapping the 'Green Hell' in 06:45.900. At the end of the day, we have to wait and see. So far, Arcfox has been parading the 7 Concept that was used as a safety car in the China GT Championship. The 7 was unveiled at the 2016 Beijing Auto Show with a price tag of $600,000. On ArcFox’s stand at the time, there was also the company’s first product, the Arcfox-1, a compact electric city car previewed in open-top form. The 7 gets its power from two electric motors, one attached to each axle, which combine for a total output of 603 horsepower and at least 737 pound-feet of torque. 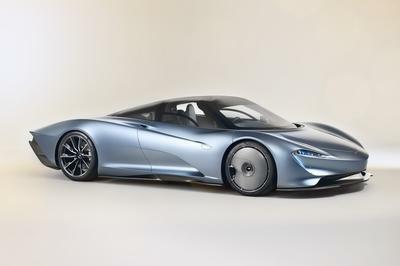 It’s also been reported that it can go 186 miles on one charge and that top speed is electronically limited to 161 mph. The 7 will be put into production next year, and you can expect the Arcfox-GT to follow soon after. 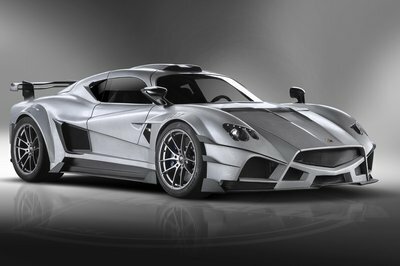 Cars such as the Arcfox-GT Race Edition shows that China is serious about building very potent supercars. 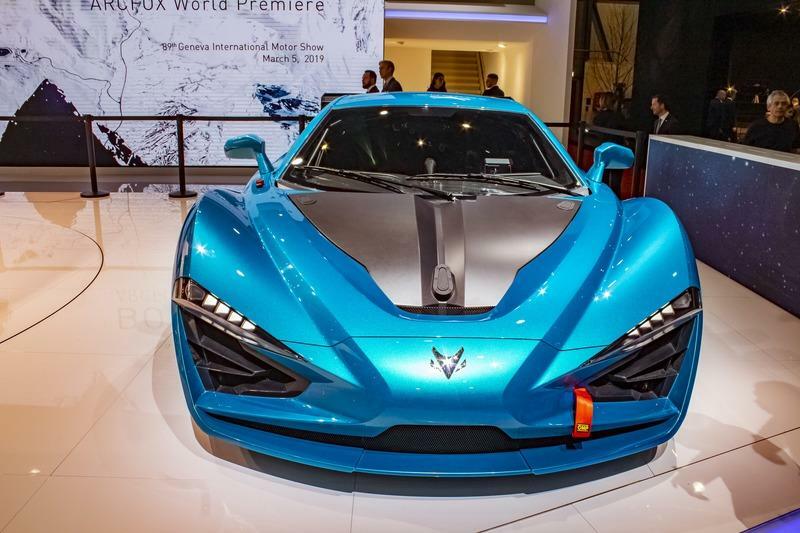 We’ve seen it already with the NIO and I’ve talked in the past about the genesis of the Qiantu K50 that will debut at the upcoming New York Auto Show and will be sold Stateside with all of its 400 ponies on tap. 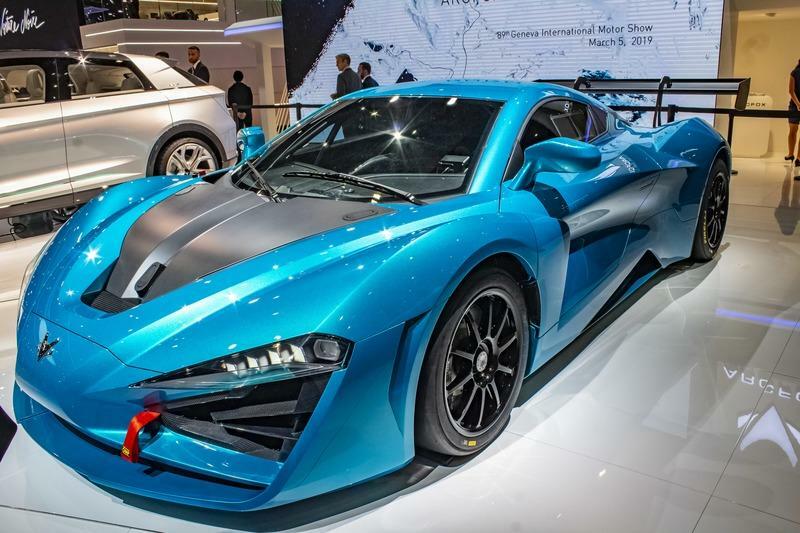 The Arcfox might be another success story like the NIO if we are to consider its backers given the BAIC Group has a reported yearly revenue of $69.6 billion. What I don’t fancy is how the company tries to pace the ’Race Version’ as a bonafide racing car. It really isn’t in my view. It doesn’t even have a full-blown racing body kit but, on the other hand, thanks to that huge wing, it looks odd among the more ’usual’ track-focused cars, a category to which the Arcfox-GT Race Edition rightfully belongs as the company didn’t give us any indication that it won’t be road legal so I guess both of them will be fully homologated, at least in Asia and Europe - as per a vague line on the official website.